My expat life is a crazy quilt of odd bits and pieces. Below is a list of scraps, some part of the quilt, others not. The links are to photos that might further enlighten and entertain you. 1. I was switched at birth in my native HOLLAND, aka THE NETHERLANDS. 2. I love cow foot soup, the national dish of ARMENIA. 3. My first baby was born in GHANA, delivered by an African doctor wearing rubber boots and a butcher apron. 5. I speak seven languages, learned while living in various places in the WORLD. 7. In Amman, JORDAN, I was invited to sit in Queen Noor’s chair and I did. So why am I telling you all this about myself? Like you care if I was switched at birth? Well, my blogger buddy at This Cat’s Abroad did me the favor (thank you!) of giving me this really ugly nice reward and I was told that the price I have to pay for showing it off is to list six outrageous lies about myself and one amazing truth. Unfortunately, I have to pass this thing on to seven of you bloggers and you’re gonna hate me for it if you’re one of them. Because you’ll think I think you’re a liar and not a creative writer and you’ll be offended and never read my blog again and then what am I gonna to do? Then again, maybe you’re a bit off-center and you’re dying to post seven outrageous lies or truths about yourself. But I don’t know who you are, do I? 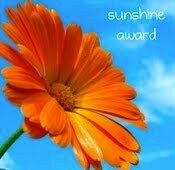 So, the solution to my problem is this: If you feel worthy of this award, take it! You can tell me by leaving a comment and I’ll post your link. First come first serve – 7 of you. And to get back to This Cat’s Abroad, let me tell you she’s been around and right now she’s living in IRAQ, having recently moved there from TURKEY. Man, she’s brave! Her posts about her expat life experiences are often hilarious as well as insightful, so check her out. And now the truth about me shall be told. Here are my statements – true or false? 1. True. I was switched at birth. On day two or three in the maternity clinic I was bathed, then dressed in another baby’s clothes, put in a crib with another baby’s name, later put in the arms of another baby’s mother: A Dutch farmer’s wife. My mother was given the farmer’s wife’s baby. She did not recognize it as being me. She recognized me as cradled in the arms of the farmer’s wife. To make a long story short, my mother went berserk, until the farmer’s wife shrugged her shoulders and handed me over to my mother, saying she couldn’t tell the difference (I kid you not, true). No identification bracelets in those days. No DNA to check it out, either. Just think! I could have lived on a farm and been a Dutch milkmaid! Maybe I could have been famous too! 3. My first baby was delivered by a Ghanaian doctor wearing rubber boots and a butcher’s apron. True! My mate is forever to blame for not taking a picture. And talking about my not having an identification bracelet when I was born, my baby didn’t have one either. But she was not switched. I know this for sure because she was the only white baby in the clinic. Which was, to reassure you, a brand-new, well-equipped facility and the Ghanaian doctor was an excellent physician with impressive British initials after his name. 4. 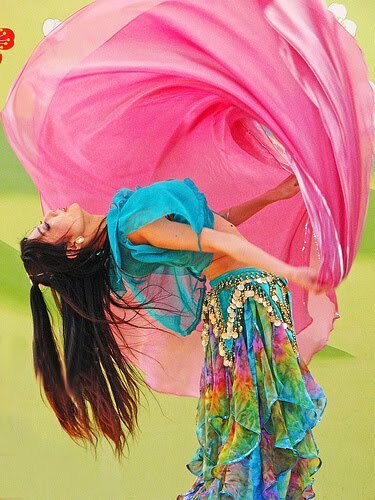 Me, a belly dancer? I wish! My man wishes! 5. And the outrageous lies go on: I speak seven languages? Please! All I can claim is two: Dutch and English. I can mess around in German, but it’s shamefully bad. I can manage to eat, sleep and drink wine in French and I know a few words and lines in others. Such as cho iko wapi. Which is Swahili for Where’s the bathroom/toilet. Usually the first sentence I learn in any language I encounter. 6. Miss Footloose, a Republican? A Sarah Palin fan? You didn’t really believe that, did you? You did? Oh, my God. Now this is beautiful! Thank you Truestarr from Prospero’s Cellphone. 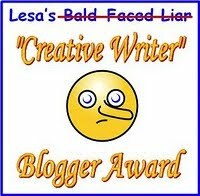 And this Kreativ Blogger Award comes from Shimp of Land of Shimp who has a kreativ way with words and entertains me with fun as well as touching stories on her blog. Thank you Shimp! And now, dear readers, lie to me! Or tell the truth, if you prefer. Tell me something outrageous, something unbelievable or fascinating about your life. Come on, ‘fess up! Sorry to be writing so late to these posts _ I am catching up! You crack me up. I was raised by Polar Bears in Montana. Note to self, change to Expat Lane for lol and LOL and to remind myself to make fun of grrrhhh situations. A schoolmate in Friesland came from a family of 21 children, no, not 12, twenty-one. He missed part of a thumb, and I used to think that had something to do with his mother running out of jazz. I’ve had Peruvian calf foot soup that I rather enjoyed, but I don’t know about your version. What a fun post! I think I’ll pass on the soup, but I was really hoping you were a belly dancer – living vicariously and all..
Amazing about the switched at birth thing, wow! I would love to do this, but I’m heading out in just a few hours. I’ll be with my two-year-old grandson, and posting is sporadic at best! Hilarious post! I have to admit I was thrilled about all the lies possibly being truths, but scared (to the core) of the Sarah Palin one! That’s a beautiful picture, so bright and full of action! Wow number 1 is scary! I can’t imagine accidentally taking someone else’s child home. First of all, I believed them all! Why not? Your mother went berzerk! I loved that visual (my apologies to your mother). My son-in-law is 1/2 Armenian. I’ll have to ask her if she likes cow’s foot soup. 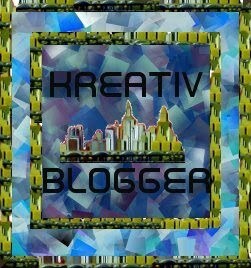 Please don’t tell me about any more fun expat blogs!! I am already only keeping up with my feedreader by neglecting important household chores as it is! PS I do care that you were switched a birth! What an interesting story. Fun! Gave me a good laugh as I instantly recognized your kiswahili! Important stuff to know!